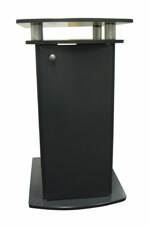 This special includes the cabinet stand as well! 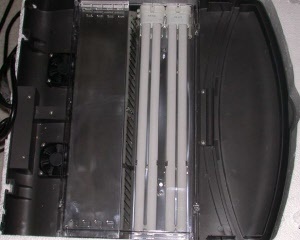 MT-50-LED This will come in 2 shipments as the tank combo weighs over 100 lbs. The 24G DX LED is one of the biggest integrated tanks that feature lighting and filtration all in one for the aquarium owner that wants it all in a glass Nanocube. 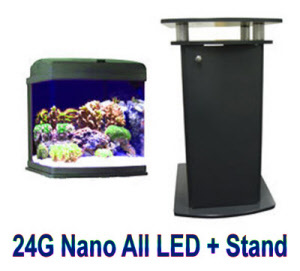 The Nano Cube DX sophisticated system offers panoramic viewing with smooth curved glass corners, built-in 3 stage filtration system, and a powercompact lamps. 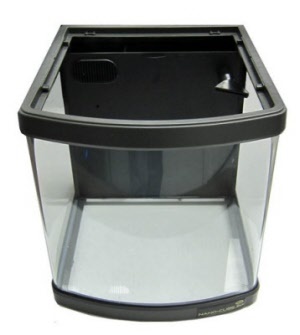 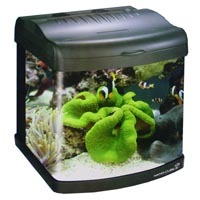 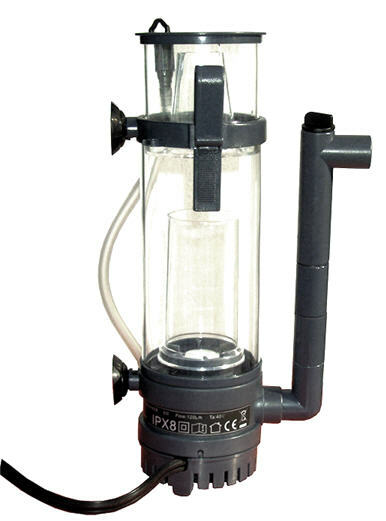 The 24 gallon Deluxe Nano Cube system has a durable ABS hood that can be flipped back and held in place for tank maintanence and feeding. Looking for something a tad bit bigger? 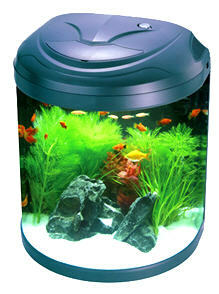 Then check out the 28 gallon unit with HQI metal Halide lighting.